Holiday Inn Express hosted a Robin Williams movie marathon on Sept. 19 and 20 to help raise awareness for both the Michael J. Fox Foundation and the American Foundation for Suicide Prevention. The hotel in Richmond Hill showed six of Williams’s most well-known movies on Friday and Saturday. The event was to help raise awareness and money for two different foundations that are related to Williams’ death in August. The Michael J. 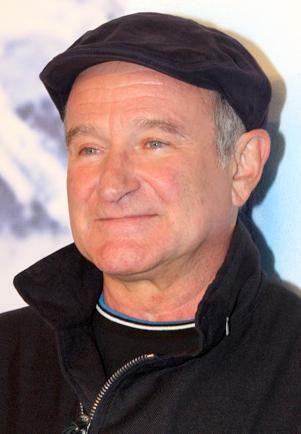 Fox Foundation benefits the research of Parkinson’s disease, which Williams was diagnosed with before his death. The event was not only hosted at the Richmond Hill location, but all over the country as well. On Friday, the hotel showed Aladdin, Mrs. Doubtfire, and Goodwill Hunting and on Saturday, they showed Jumanji, Hook, and Dead Poet’s Society. The turnout was good for such dreary weather over the weekend..
Of all the Williams movies produced, it would be hard for anyone to pick just one. A hotel employee, however, was able to pick her favorite.